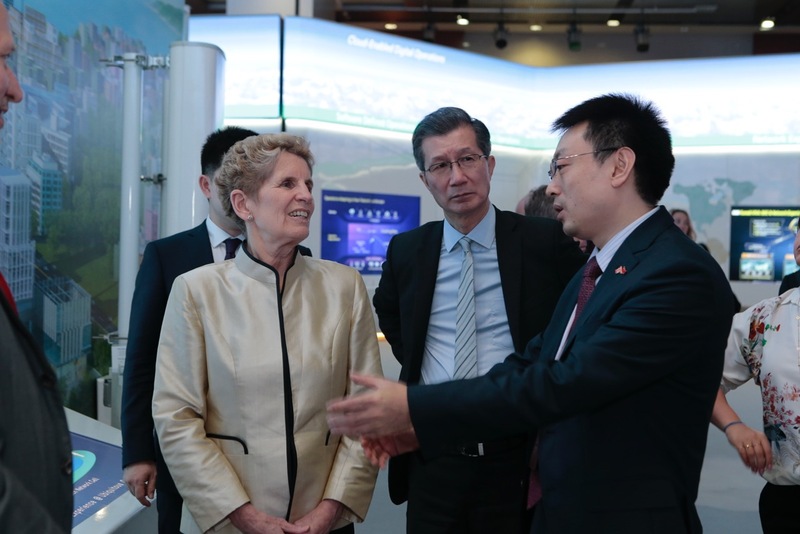 Huawei will extend its Kanata, Ont.-based Canada Research Centre and partnership with Carleton University to focus on 5G advanced communications research, the firm announced today as Ontario Premier Kathleen Wynne visited its Shenzhen, China-based headquarters. Huawei says it will work with Carleton to identify new research undertakings aimed at addressing the widespread deployment and adoption of 5G technologies. With 5G wireless networks closer to being commercialized, the research will turn to the new applications that will be opened up by the increased broadband speeds – namely self-driving cars and Internet of Things (IoT) devices. Huawei also signed a partnership with Seneca College to train network technicians on Huawei enterprise equipment. The Huawei Authorized Learning Partner program at Seneca marks a first in Canada. It’s already offered three programs to 57 participating students. Huawei welcomed the Premier and an Ontario delegation that included Michael Tremblay, the CEO of Invest Ottawa, and Richard Waterhoue, vice-president of the Centres of Excellence in Next Generation Networks (CENGN). It also announced that it’s the newest member of the CENGN consortium. Huawei has been funding research into 5G, which could bring data speeds of up to 100x that of current 4G LTE networks, since 2009. In 2013, it announced plans to spend $600 million on 5G by 2018. In 2014, it said it would spend $210 million on creating 325 new jobs in Ontario by 2019. 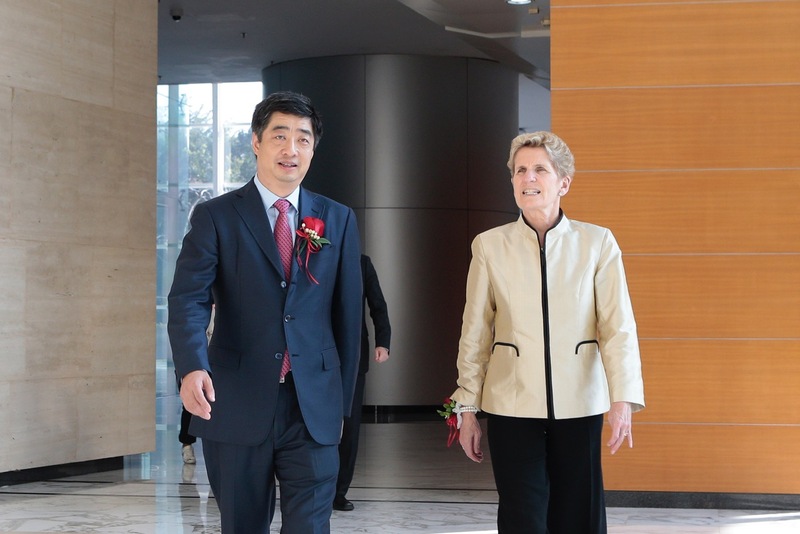 Ontario Premier Kathleen Wynne visited Huawei’s headquarters in Shenzhen, China. Here, she speaks with Sean Yang, past president Huawei Canada and head of Global Security Protection Office for Huawei. CENGN’s members include Canada’s major incumbent carriers – Bell, Telus, and Rogers – and Huawei will work with them to identify challenges related to the deployment of 5G, said Steve Lu, the president of Huawei Canada. Issues could relate to data integrity, security of IoT devices, and resilient networks. Huawei’s partnership with Carleton has seen 33 researchers at the postdoctoral, doctoral, and master’s level degrees in the 5G industry. It’s published 120 research papers and has 30 patented inventions as a result. Huawei says it’s supporting a bid by Carleton to establish a network of centres of excellence for Connected, Autonomous and Networked Vehicles across Canada. Currently, Huawei is hiring for 10 jobs related to 5G research, including engineers and a patent lawyer.